Nepal Highlights Tour takes you to Lumbini, the birthplace of Lord Buddha, to Tansen, the most beautiful town of Nepal, to the Chitwan National Park, a home to the Royal Bengal Tiger, to Sarangkot, a famous viewpoint of Nepal, to Godavari, a famous botanical garden of Nepal, to Pokhara, a city of geographical wonders, and to the monuments of the Kathmandu Valley, a UNESCO World Heritage Site. 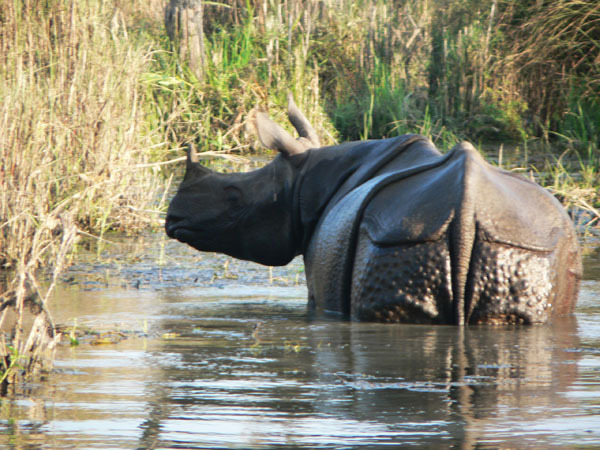 In the Chitwan national Park, a traditional dugout canoe takes you to the Rapti River, to a jungle, wherein you see the aquatic birds and endangered Royal Bengal Tiger, one – horned rhinoceroses, and gharial crocodile. In this jungle, you will also do the Jeep and elephant safaris. In Nepal Highlights Tour, you will also visit the famous tourism city and hill station of Nepal, such as Pokhara and Sarangkot. Pokhara is the second largest city of Nepal and is city of lakes, while Sarangkot is a famous viewpoint, which offers 180 – degree view of the Himalayas, including Dhaulagiri, Annapurna, Fishtail and Manaslu mountains.In addition to this, you will find Pokhara offering a stunning view of Machhapuchhare and Annapurna Ranges. Seeing these mountains, you will visit the interesting places of Pokhara, such as the Seti- River Gorge, the Tibetan Refugee Camp, Phewa Lake, Barahi Temple, Gupteshwor Cave, Devi’s Fall, and International Mountain Museum. 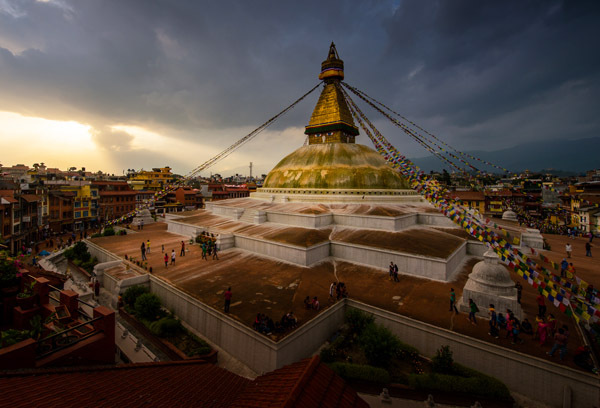 In Nepal Highlights Tour, you also visit Pashupatinath Temple, Boudhanath Stupa, Changunarayan Temple, and Bhaktapur Durbar Square of the Kathmandu Valley, A UNESCO World Heritage Site. In Kathmandu, you also visit Swoyambunath Stupa, which is one the holiest Buddhist sites of the world. The establishment of this Buddhist site is linked with the creation of the Kathmandu Valley. You will also visit Kathmandu Durbar Square, which is a complex of palaces, courtyard, and temples, and which was built in the 12th and 18th centuries. An intriguing feature of this square is the 17th- century stone inscription, set into the wall. There are 3 different museums in the periphery of Kathmandu Durbar Square. Beginners: Relaxed sightseeing with private transport to sights. Arrival at Tribuwan International Airport in Kathmandu (1, 345 m). Stay Overnight at a Hotel. Pre-trip Meeting and Sightseeing Around the Kathmandu Valley. Stay Overnight at a Hotel. Drive to Chitwan National Park in a Tourist bus - 7 hrs. Stay Overnight at a Resort in Chitwan. Drive to Palpa, explore it and then Drive to Pokhara - 7 hrs. Stay Overnight at a Hotel. Drive to Sarangkot for Sunrise and Mountain Views - 30 mins, and back to Pokhara - 45 mins. Stay Overnight at a Hotel. Drive Back to Kathmandu in a Tourist bus- 7 hrs. Stay Overnight at a Hotel. Sightseeing of Pharping, Godawari and Patan Durbar Square. Stay Overnight at a Hotel. 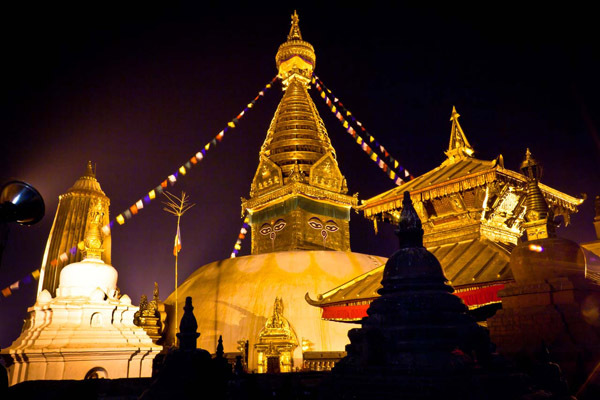 Guided sightseeing at Boudhanath, Changunarayan and an Evening Drive to Nagarkot - 1.5 hr. Stay Overnight at a Hotel. Watch the spectacular sunrise from Nagrkot, drive to Kathmandu - 1.5 hrs and Leisure day in Kathmandu. Stay Overnight at a Hotel. Transfer to Tribhuwan International Airport for Departure. Kathmandu Durbar Square, Swoyambhunath Stupa, Pashupatinath Temple, Boudhanath Stupa. 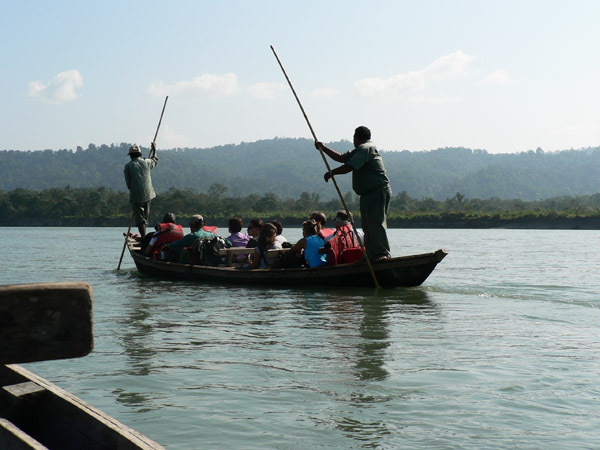 Chitwan National Park; Jungle Safari, Canoeing, Bird Watching, Elephant ride and Cultural Program by local Tharu Tribe. The representative of Ace Holidays receives you at Tribhuvan International Airport, Kathmandu. You see the representative displaying the signboard of Ace Holidays outside the airport terminal. You will then be transferred to your respective hotel by the private vehicle of Ace Holidays. Kathmandu Durbar Square comes under a UNESCO World Heritage Site and is a complex of palaces, courtyards, and temples, which were built between the 12th and 18th centuries. It used to be the seat of the ancient Malla Kings of Kathmandu. An intriguing piece here is the 17th- century stone inscription set into the wall of the palace with writings in 15 different languages. The Durbar Square is the social, religious, and urban focal point, where the people gather and talk. Inside the Kathmandu Durbar Square, you will visit three museums. Swoyambhunath Stupa is also known as “The Monkey Temple,” and comes under a category of the UNESCO World Heritage Site. It is located on the top of a hillock. It is a huge stupa and known to be one of the holiest Buddhist sites in Nepal. Its establishment is linked with the creation of the Kathmandu Valley out of a primordial lake. Swayambhunath Stupa is also known as Samhengu. 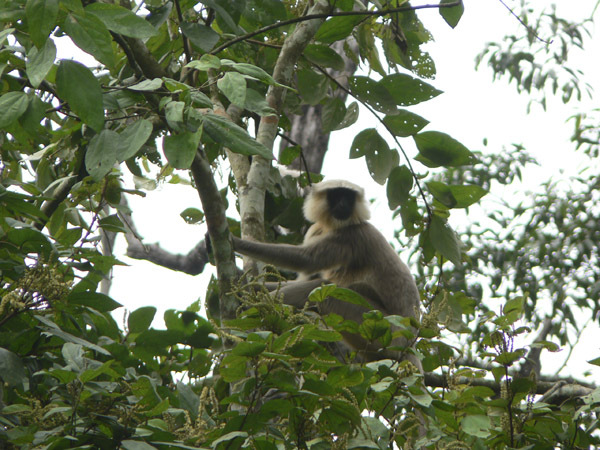 You see countless monkeys in Swayambhunath’s premises. Stay overnight in a hotel in Kathmandu. Pashupatinath Temple comes under a category of the UNESCO World Heritage Site and is one of the most sacred Hindu shrines in the world. It lies 5 km east from the heart of Kathmandu. This temple is richly-ornamented pagoda and houses the sacred “Shiva Lingam,” or the phallic symbol, of Lord Shiva. Chronicles indicate the temple’s existence prior to 400 A.D. Devotees can be seen taking ritual dips in the holy Bagmati River, near the Pashupatinath temple. 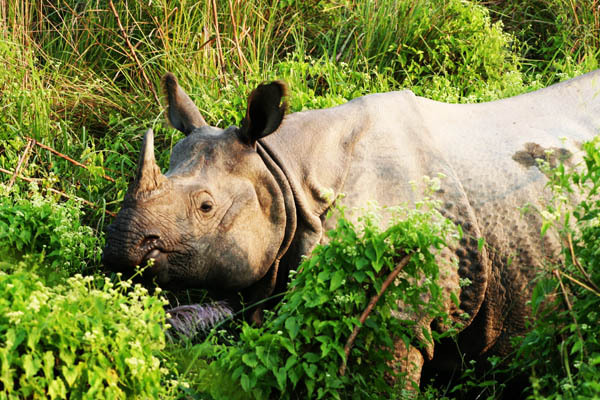 Today you will travel to the Chitwan, which is the first national park of Nepal and which was established in 1973. The Park is a home to more than 43 species of mammals and is especially renowned for the protection of the endangered one- horned rhinoceros, the Royal Bengal Tiger, and Gharial Crocodile. On reaching the resort, your guest relations officer will brief you on elephant safari, jungle walk, nature walk and boat ride. Day 4Activities in the Chitwan National Park. After you have tea or coffee, you will go to see wildlife and birds, you will go for elephant safari, and you will go for jungle walk. After you have your breakfast, you will do a 45-minute walk through the grassland and forest upstream. You also see crocodiles on the banks of the Narayani River, and then you head off to camp for lunch. 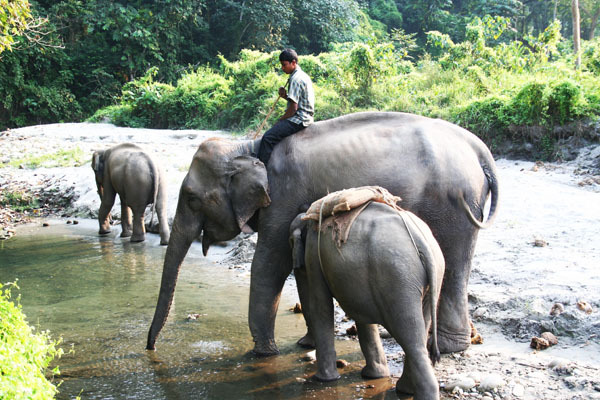 Late afternoon, a guide will take you for the elephant safari and jungle walk and to the observation tower. After breakfast, you head off to Lumbini. 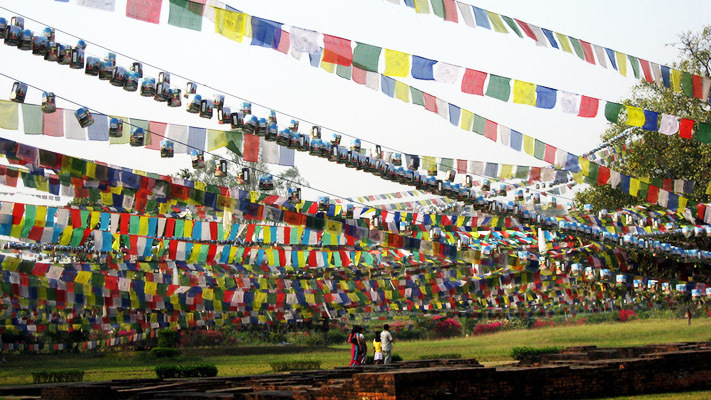 Lumbini has a religious significance not only in Nepal, but also all over the world. 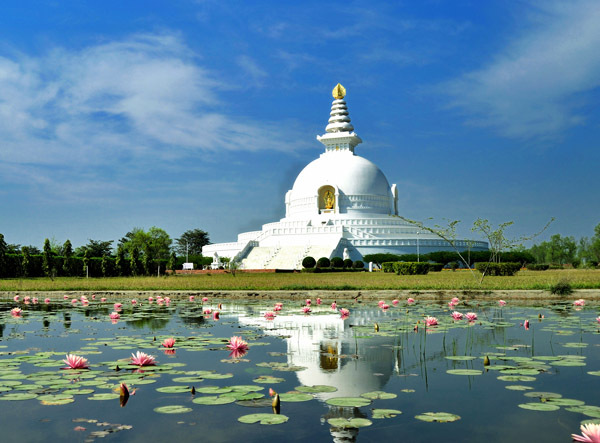 It is the birthplace of Lord Buddha, who was born in 623 BC, and it is now the pilgrimage site for the Buddhists. Palpa is a town, which is famous for numerous festivals, and religious events. It is also known for its scenic beauty. After some sightseeing in Palpa, you will drive to Pokhara, one of the most famous cities in Nepal. It is enriched with natural beauty and stunning mountain views. You will spend the remainder of the day by resting in this beautiful city. Phewa Lake and Barahi Temple are situated at an altitude of 800 m above sea level. It has been declared as the second largest lake of Nepal. Located in the middle of a lake, Barahi Temple is the most important religious monument in Pokhara. 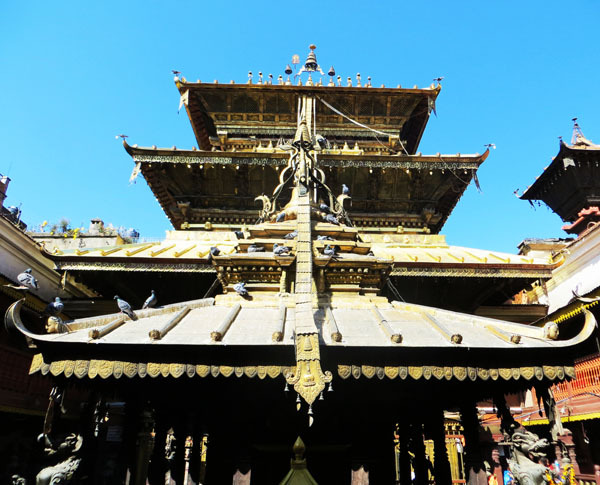 The temple features two-storied pagoda, which is of “Female Shakti.” Shakti means power in Nepali. The images of Mt. Machhapuchhare and Annapurna can be seen in the water of Phewa Lake. To the south of this lake is a thick forest slope. Devi’s fall is also known as Patale Chhango in Nepali and lies in the southern flank of the Pokhara valley. The lake is sourcing from the Fewa Lake. its water falls into a deep gorge and through several potholes. Gupteshwar Cave is 2 km away from Pokhara airport. Its entrance is right across from Devi’s fall, and the cave stretches 3 km long. It also contains big hall-sized rooms and some passages where you have to crawl. This cave holds a special value to the Hindus because it has a phallic symbol of Lord Shiva. It has been preserved in the same condition since it was discovered. Day 5 & 6Guided sightseeing in Pokhara. Seti River Gorge has been carved out by the Seti-Gandaki River. This gorge is one of the natural wonders of Pokhara. K.I. Singh bridge at Bagar and Mahendrapool & Prithivi highway Bridge near bus park, provide a perfect view of the Seti’s dreadful, rush, turbulent, white water. Tibetan Refugee Camps are renowned for the production and trade of woolen carpets and other handicrafts. 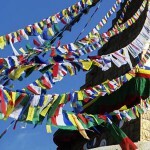 The Tibetans migrated to Nepal in the ‘50s. 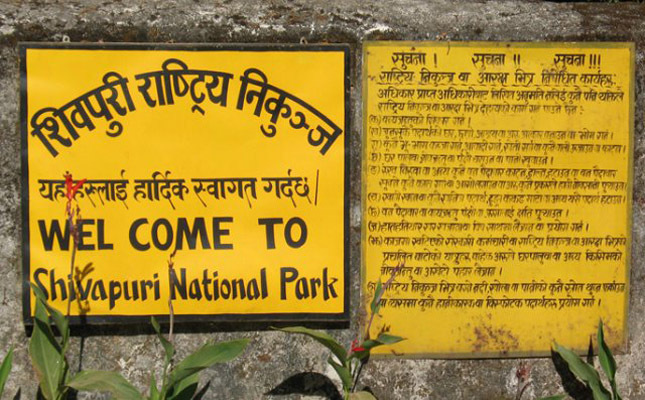 Museum displays the lifestyles and histories of the Gurung, Thakalis and Tharu people. There is also a Gurkha Memorial Museum, which is dedicated to the famous Gurkha Warriors, who earned their names during the World Wars and numerous battles. The soldiers of the Gurkha regiment won 13 Victoria Cross, an award for exceptional bravery. Bindhyabasini Temple lies in the center of the religious old bazaar of Pokhara. It is dedicated to Goddess Bhagawati, a symbol of Shakti (power). Today you wake up early in the morning, have breakfast and catch the bus for Kathmandu. It will take long day drive and you will have your lunch on the way. Pharping is an ancient, renowned village situated in the southern region of Kathmandu. It was popular with the name “Shikharapuri Mahanagari” (Metropolitan City) which was recognized as an independent state with 48,000 people in the ancient time. Shikharapur was an independent Newari (ethnic) state, but presently it has several important Hindu temples and Buddhist monasteries. Dakshinkali Temple is one of the famous temples of Nepal. It is the temple of goddess Kali, the fearful form of Parvati, who is the consort of Lord Shiva. 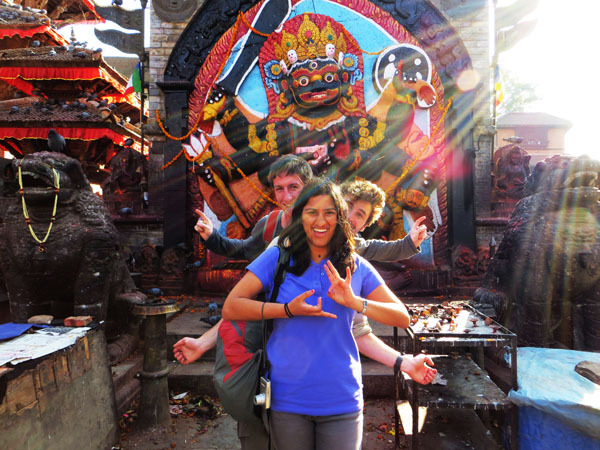 The goddess Kali is the black stone, which has six arms, and which is standing. Dakshinkali Temple is located 22 km outside Kathmandu, and about 1 km outside the village of Pharping, that is to say, at the south end of the valley between 2 hills as well as at the confluence of rivers. Animal sacrifices are performed in this temple, but one can also worship to goddess Kali without performing sacrifices. 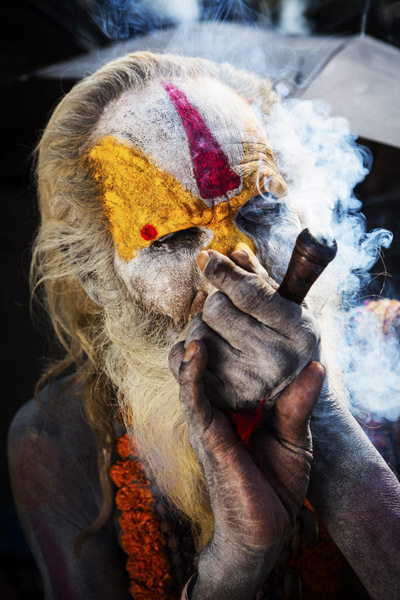 Usually devotees come to worship goddess Kali on Saturdays and Tuesdays. 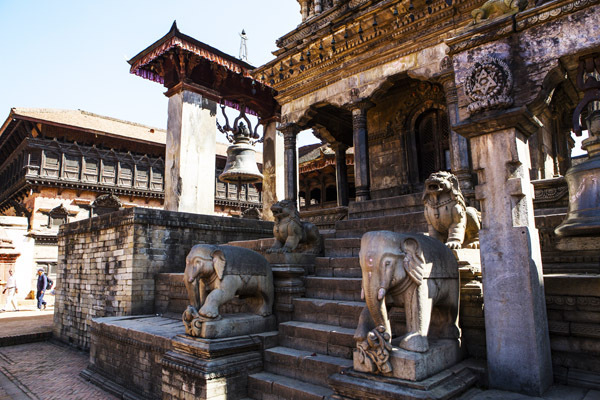 Patan Durbar Square, which is a World Heritage Site, is an enchanting combination of palace buildings, artistic courtyards and graceful pagoda and temples. The former royal palace complex is the center of Patan’s religious and social life, and houses a museum containing an array of bronze statues and religious objects. One remarkable monument here is a 17th-century temple dedicated to the Hindu god Krishna, built entirely of stone. Godavari Botanical Garden exhibits a wide range of exotic and indigenous plants in its famous gardens. It has been of prime importance for scientific research and observation, and is popular among both the locals and tourists because of its pleasing landscape surrounded by evergreen natural forest. You can feel a sense of tranquility and refreshment in Godavari, which also has innumerable hiking spots, including of course, Phulchowki hill – the highest point in the Kathmandu valley. Today you will do sightseeing of the following places and in the evening drivew to Nagarkot. Bouddhanath Stupa lies about 6 km to the east of downtown Kathmandu. It is known to be the largest stupa in the Kathmandu Valley. 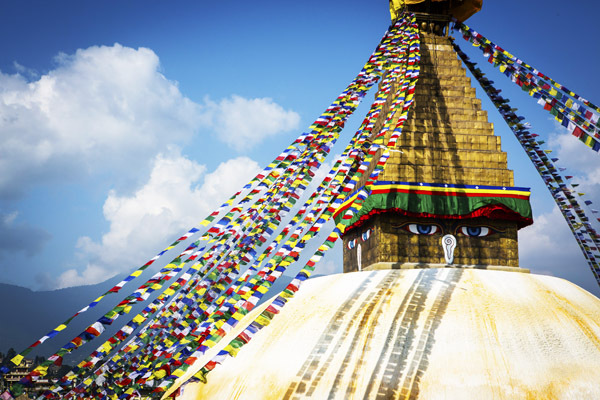 It looms 36 meters high and presents one of the most fascinating specimens of stupa design. Buddhanath is also known as Khasti, or dew drops because the builders had to mix dew with mortar while building it. At that time, Kathmandu was hit by a severe drought. Changunarayan Temple, which is a World Heritage Site, is situated on a ridge, overlooking Kathmandu valley, and it is about 12 km to the east of Kathmandu City. It is the temple of Hindu God Vishnu. It is one of the finest and oldest specimens of pagoda architecture built in 323 AD by King Haridutta Verma. 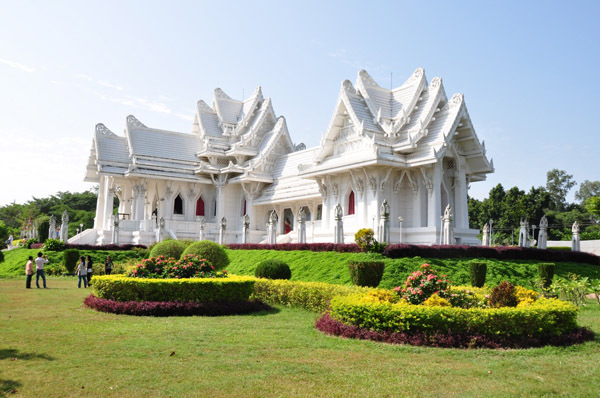 The temple is richly decorated with sculptures and carvings, and its location offers the beautiful views of the surrounding countryside. Nagarkot is one of the most scenic spots situated about 35 km east of Kathmandu. It is a viewpoint to see the Himalayan Ranges, as well as eastern Nepal, if the weather is favorable. Nagarkot is also renowned for becoming a viewpoint to see the spectacular views of sunrise. Besides, Nagarkot has great hiking trails. You will wake up early in the morning to watch the stunning view of sunrise over the mountains from Nagarkot. You will visit Bhaktapur Durbar Square,, and you will see in its complex a collection of pagoda and shikhara-style temples grouped around a 55-window palace of brick and wood. 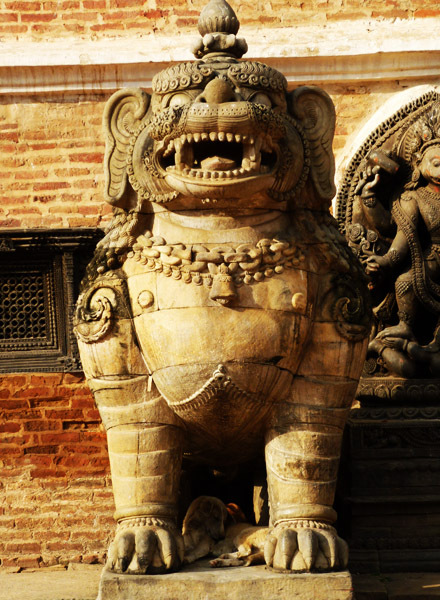 The attractions of the Bhaktapur Durbar Square are the Lion Gate, the Golden Gate, the 55-window palace, art galleries and the statue of King Bhupatindra Malla. In the evening you will have farewell dinner in traditional Nepali restaurant with cultural program. Day 13Transfer to Tribhuwan International Airport for Departure. Today is the last day of your trip. You will be picked up from the hotel and transferred to Tribhuwan International Airport on time. During the trip, weather, local politics, transport or other factors, that are beyond Ace Holidays can result in a change of itinerary. 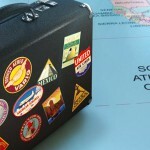 It is, however, very unlikely that the itinerary would be changed to a large extent. If changes are necessary, the leader will decide what is the best alternative for you. Taking this into consideration, as well as the best interests of the whole group, including a change, Ace Holidays will do everything to minimize the effects, but it cannot be responsible for the results, arising from changes or delays. Upon arrival in Tribhuwan International Airport, Kathmandu, you see the guide holding the signboard of Ace Holidays, and your guide accompanies you from the airport to the hotel. Similarly, on the departure day, your guide accompanies you from the hotel to the airport. Important Note: The local porters at Tribhuwan International Airport in Kathmandu, may ask tip/money to you. PLEASE DO NOT GIVE ANY MONEY TO THEM, not even to the person, who is holding Ace Holidays' sign board. Begging is one of the harsh realities of this country, Ace Holidays believes that it should be discouraged. Ace Holidays will also not repay you if you give money to anyone at Tribhuwan International Airport. You can also use thi trip as a base for a tailor-made itinerary. For example, you could add on more time exploring the Kathmandu Valley or relaxing in Pokhara, or add some wildlife safari ( Bardia National Park) You can also add some exciting white water rafting on the Seti River, the Trisuli River or the Bhote Koshi River. To discuss your ideas or to get some suggestions from the specialists of Ace Holidays, please fill in our tailor-made form. Airport and hotel pick up service / drop off service by a private tourist vehicle. Nepal Entry Visa: you can obtain a visa easily upon arrival at Tribhuwan International Airport in Kathmandu. (Tourist Visa with Multiple Entries for 15 days can be obtained by paying USD 25 or equivalent Nepalese currency. Similarly, Tourist Visa with Multiple Entries for 30 days and 90 days can be obtained by paying USD 40 and USD 100 respectively. Please bring 1 passport size photo). Any other expense, which is not mentioned in 'Price Includes' section. This cultural tour is suitable for any kind of person. 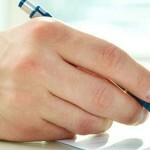 To secure your booking, you have to fill in and return the final booking form. The word or PDF version of final booking form will be sent to you via e-mail then you can e-mail or fax the complete booking form. In addition, we also require minimum 30% per person deposit to guarantee your place as it enables us to make the pre-arrangements on your behalf. The remaining 70% can be paid when you arrive in Kathmandu. The deposit can be paid by the bank transfer or credit cards (Master, Visa or American Express cards). There will be 4% bank levy for all the payments done by the cards. What sort of accommodation can I expect in Kathmandu, Lumbini, Pokhara, Nagarkot, and Chitwan? Ace Holidays provides standard twin sharing accommodation for the entire trip. The accommodation consists of 2 or 3 star hotels, which offer the facilities of attached bathrooms, dining room, a bar, Internet services, hot shower, and so forth. You can upgrade the accommodation to a five-star hotel for the entire trip at an additional charge. In Chitwan, your accommodation will be a resort. Continental, Chinese, Mexican, American based cuisine with some local influences. Private vechicle and toursit bus. These transportations will be driven by license holder drivers. What is the weather and the temperature like? Kathmandu generally has a climate with warm days followed by cool nights and mornings. Unpredictable weather is expected given temperatures can drop to 3 °C (37 °F) during the winter (Jan). In May, the maximum temperarure of Kathmandu is 29 degree celcius. In September, the minimum temperature of Kathmandu is 18 degree celcius and in December minimum temperature is 2 degree celcius. The climate of Pokhara is sub-tropical; however, the elevation keeps temperatures moderate. Summer temperatures average between 25 to 35 °C, in winter around - 2 to 15 °C. Pokhara receives the highest amount of rainfall (> 5600 mm/year or 222 inches/year) in the country. Summers are humid and mild; most precipitation occurs during the monsoon season (July - September). Winter and spring skies are generally clear and sunny. Is Ace Holidays a member of the Tour and Travel Agencies' Association of Nepal? Yes. Ace Holidays is the active member of Nepal Tour and Travel Agencies Associtaion. Yes, they have all received a 45-day training from the Hotel Management and Tourism Center in Nepal. Please check our Guides Proflies and Training Certificates. Are there any volunteer projects that we could visit after the tour? Ace Holidays is one of the prime supporters of the social organization called Sambhav Nepal. There are several on-going projects in a village called Arupokhari (Gorkha district) which you are more than welcome to visit or even volunteer. You will be able to gain a different insight into the lives of the people in the hills. The minimum group of people is 4, and the maximum group is more than 12. Based on the group sizes, Ace Holidays maintains the field staff ratio to give you the satisfying service. Does Ace Holidays book my own international flights to and from Nepal? Laundry service is easily available at your hotel, and there are many laundry stores in Kathmandu. Please note that laundry service is not included in the package price. These facilities are available in all the places in your hotel. Remember to bring your adapters. ATMs are available in Kathmandu. Major credit cards are accepted in all places but you need to pay 4% extra as bank levy, which might make cash more preferable. It depends on your spending habits. USD 15 to 20 a day will be enough to buy lunch, dinner, chocolates, and a few drinks in cities. In trek, you need USD 20 to 40 for meals. Tips are always expected. It is a small gesture of thanks tocity guides towards the end of the tour. USD 20 to guide and USD 10 to driver per day is recommended per group, but this also entirely depends on your wish. Is the water fine to drink? Bottled water is available in all places. Are Ace Holidays' staffs insured? Yes. Ace Holidays' trek guides, tour guides, cooks, drivers, and porters are insured completely. They have health insurance, altitude mountain sickness insurance, life insurance, accident insurance, and casulty insurance. A holiday should never be about making it to the final point quickly. You can add extra days with additional costs to cover guides, porters, accommodation, and food. Vaccaination is not complusory, but it is better if you vaccinate against diphtheria, hepatitis, malaria, typhoid, polio and tetanus. We would like to know your blood group because it is important in case of emergency. Please tell us if you are suffering from any disease. 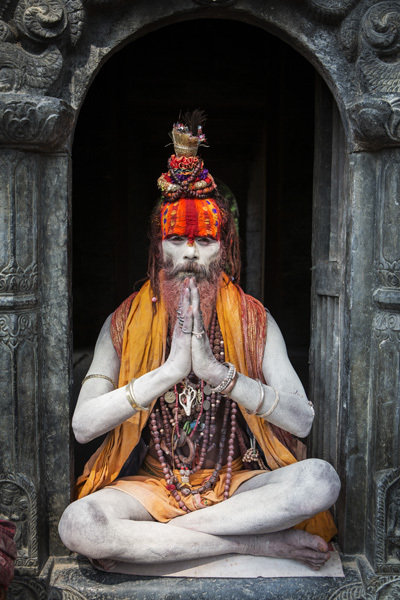 Kathmandu and Pokhara Unveiled takes you to the UNESCO World Heritage Sites of Kathmandu. Kathmandu Heritage Tour is all about the World Heritage Sites of Kathmandu, and it is one of the prominent valleys of Asia. It is also known, as the city of temple, and it is also famous for architecture.